The Society of Garden Designers has produced a very good book on garden design. I commend it to anyone commissioning a garden and to future historians of garden design. The section I like best, on Outdoor Experiences, deserves to become a book in its own right. There are only four sections, on Relaxing, Dining, Playing and Bathing. But there are subsections, so that Dining includes Cooking Outside, Keeping Livestock and Growing Your Own. This approach to garden design comes, in the UK, from John Brookes. His Room Outside, first published in 1969, launched British garden design on its profression from the Arts and Crafts Style to Modernism. In his introduction to Great garden design Brookes draws attention to the way in which ‘this book breaks down the overall plan of a garden and deals with the various sections and functions it may include’. A failure to grasp the key principle of Modernism hindered, and hinders, the development of garden design. ‘Form follows function’ is the most convenient summary of Modern Movement principles but caused problems for garden designers. ‘What’ they wondered, ‘are the functions of a garden?’ My criticism of Great garden design is a weakness in the history and theory of garden design. After Brookes’ Forward and an Introduction by Ian Hodgeson (the author) there is a chapter on Contemporary Garden Styles. A section on Sourcing Inspiration is followed by a section on Choosing a Style – which struck me as a return to the high Victorian eclecticism of Edward Kemp and the Mixed Style. It is followed by a menu of styles. Their names are Contemporary Formal, Urban Chic, Cottage and Country Style, Natural Style, Water Gardens and Subtropical Style. This is a departure from Modernism but I would not call it Postmodern and nor do I think the categories will be of use to those future garden historians who come across this useful and very well-illustrated book. Great Garden Design was published 5th March 2015 by Frances Lincoln www.franceslincoln.com. 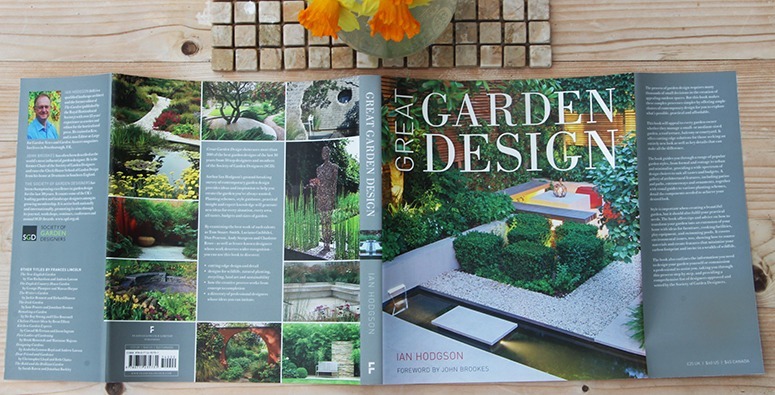 This entry was posted in Book reviews, Garden Design on 23rd March 2015 by Tom Turner.